The most recent available economic indicators for the island of Maui demonstrate the island’s robust recovery and consistent positive trends propelling broad based growth and market expansion. These trends continue to validate the tremendous opportunity the development of Nu’u Aina presents. Single family home sales volume increased 37% for the year over the same period in 2009. For the Wailea-Makena market area, sales increased 100%, while the Kihei market had a 53% increase during the same period. condominium sales volume increased 52% over 2009, that included a 84% increase in Wailea-Makena and a 86% increase in the Kihei markets. 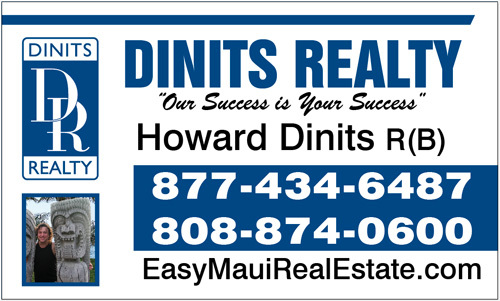 Single family home prices island wide rose 5% over 2009 prices. In this same period, the Wailea-Makena markets prices rose 20% while Kihei grew by 12%. The Wailea-Makena markets showed exceptional resilience with a 10% price increase while the Kihei condominium market softened even with the uptick in sales with a 12% price decrease. Through July of 2010, total visitors to the island of Maui rose 7.8% to 1,222,703 with visitor expenditures up an impressive 16.4% representing $1.74 billion in consideration. Visitor growth has come from the top four markets the State draws from, a demonstration a broader global economic recovery. Through June, Maui’s hotel occupancy increased 12% over the same period in 2009 with a RevPar that mirrors the visitor expenditure growth.